It’s unclear what Congress will do with its lame-duck session. But if its agenda includes the Farm Bill, the changes on the table could be modestly helpful to millions of low-income people but significantly hurtful to a smaller yet still large number of U.S. households, according to an analysis released Thursday. About 40 million households across the United States receive benefits under the Supplemental Nutrition Assistance Program, or SNAP, formerly called “food stamps.” Roughly 1.6 million New Yorkers received SNAP as of September. 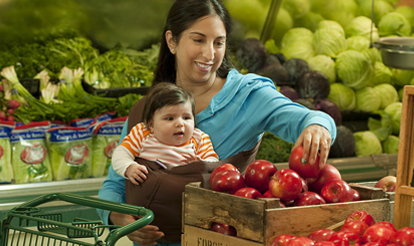 SNAP eligibility and the amount of assistance a household receives are based on a formula. Right now, the formula allows households to deduct some of their earned income and, in high-cost areas, some of their heating and cooling costs, to arrive at the income level upon which their benefits are based. The former is meant to reward work, the latter to account for the fact the some low-income families face unavoidable expenses that decrease their ability to buy food. The 2018 Senate Farm Bill wouldn’t change any of that, but the House version would. It would allow slightly more earned income to be deducted (22 percent, instead of 20 percent) but would make it far more difficult for most households to claim heating and cooling expenses. According to a simulation by the Mathematica Policy Research and the Robert Wood Johnson Foundation, these changes would impact a minority of SNAP households. Twenty percent of SNAP households would see an increase of about $10 a month in the benefits they receive. And 3 to 5 percent of households would see a decrease or $50 to $75 in their monthly benefits. Those percentages might seem small. But it means 4 million household could see a modest boost while another 1.1. million or so could see a significant cut in their benefits. Yes, a significant cut. Keep in mind, the average SNAP monthly benefit in 2017 was $254. I don’t understand how people get so much money in snap (food stamps). All I get is $40 maybe less monthly and I’m a senior on a very low fixed income and I have no assets.